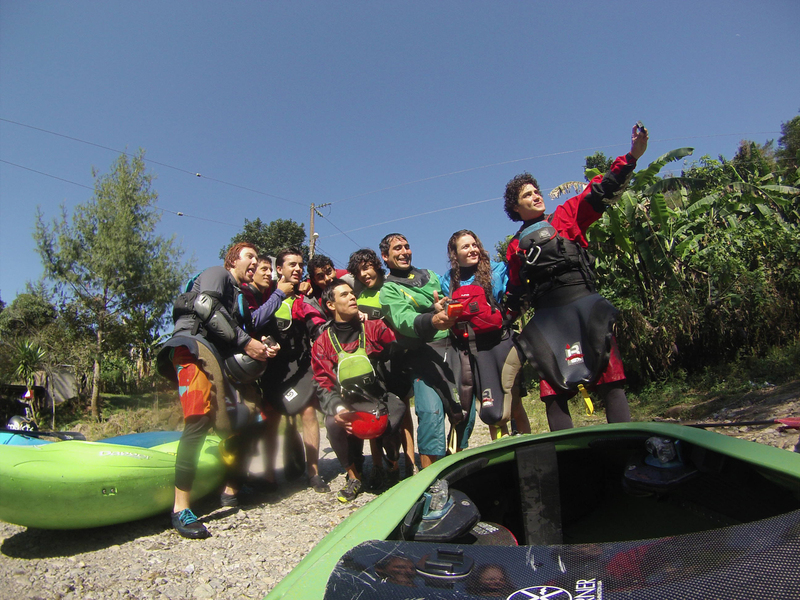 Rafting is our main activity. 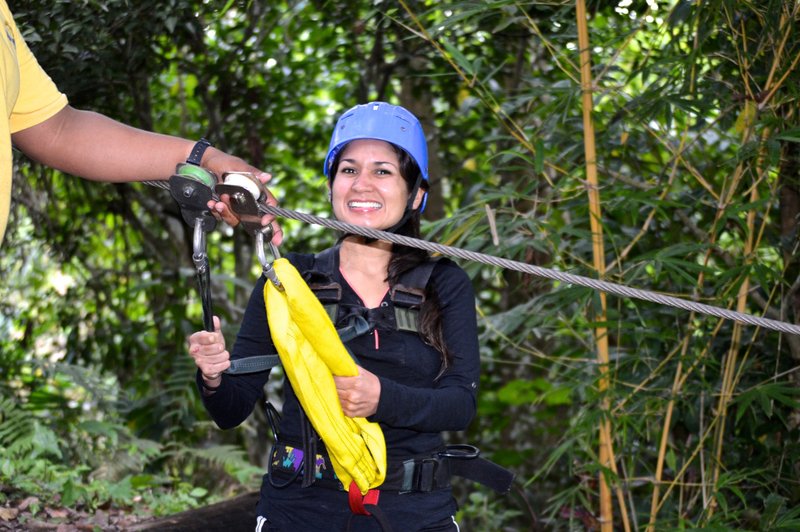 Our certified and years of experienced guides will provide you an epic rafting adventure, we have 4 sections, each section has fun class 2 and 3 level whitewater and all include fun places and activities that clients can experience on top of rafting the fun extreme rapids of the river. 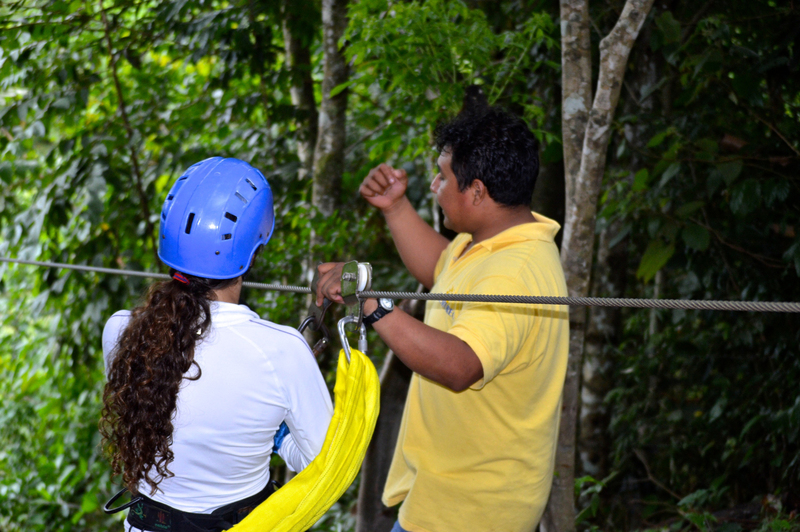 With each trip you will be given equipment for your own safety, this includes a helmet, life jacket, and paddle. 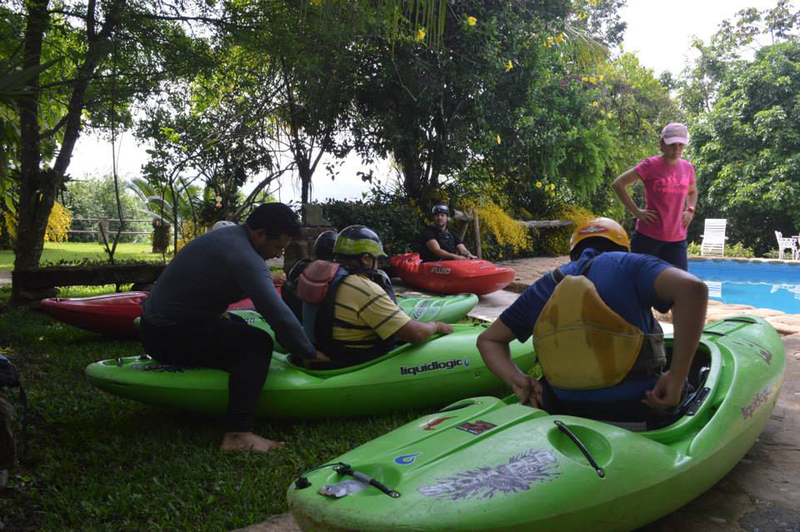 You will be briefed in detail on how to use this equipment and how to manage your self and what to expect incase you fall out of the raft (swimming). This activity is appropriate from 6 years old to all ages. 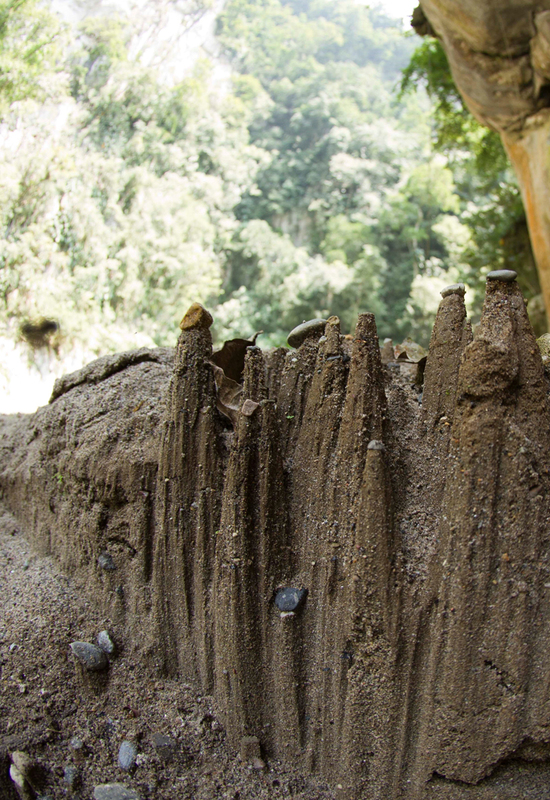 - Find fossils embed in rock, visit a cave with and underground river. 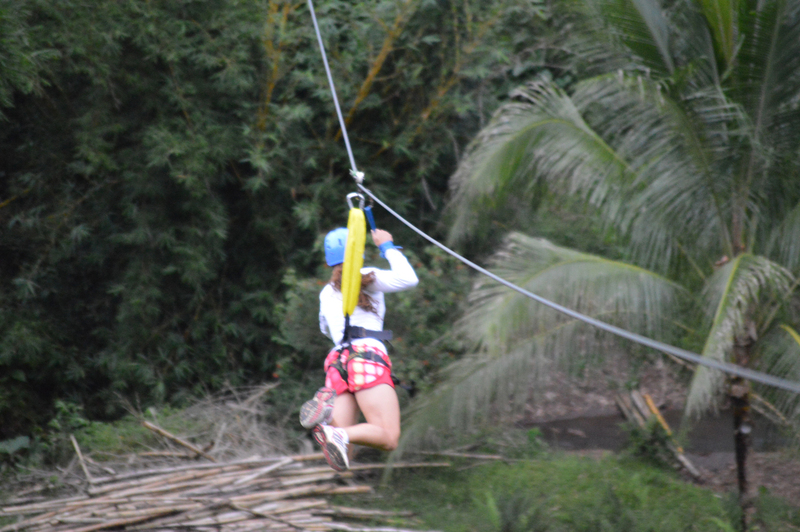 1.- Encanto-Palmilla: It starts with an easy hike to the river. 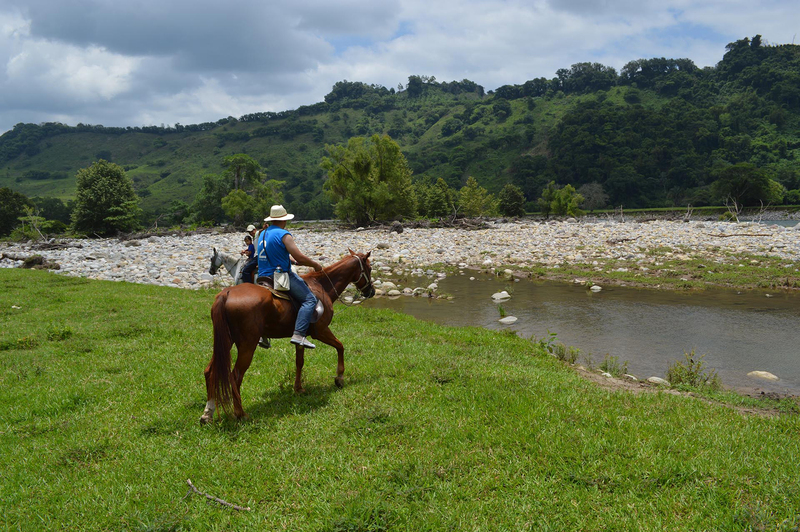 Ones you get to the banks of the alseseca, the guides will provide you the necessary information and gear for the trip. 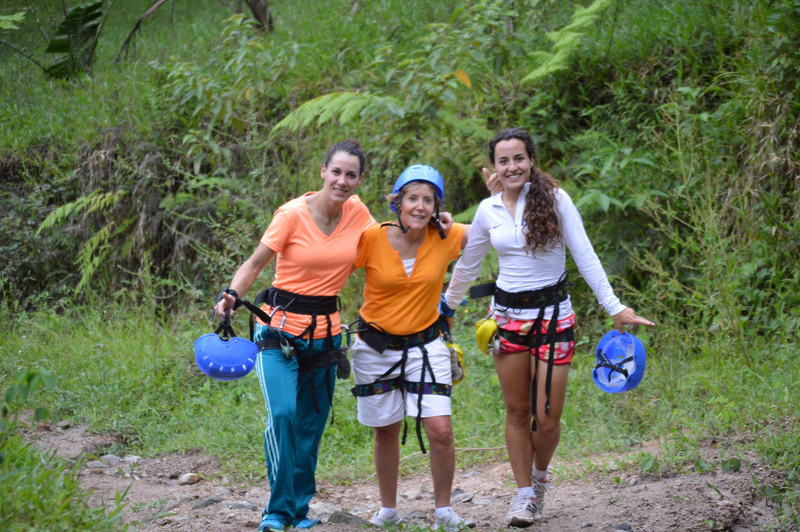 You will jump onto the rafts and paddle to a spectacular waterfall call the “encanto”. After, the action will start on the rapids and the adventure will continue with a light lunch and some incredible jumps and games. 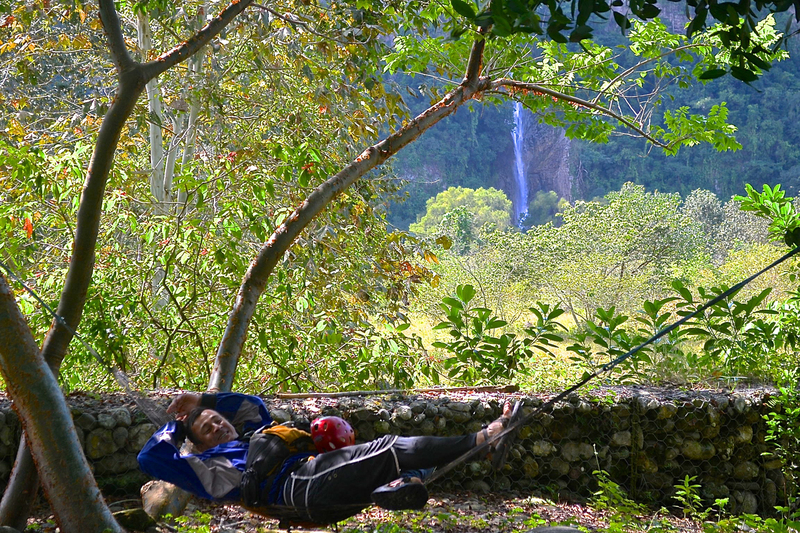 2.- Alto Filo: This section starts with a 30 minute drive through the mountains that will take you to the top of a cliff where you will have to hike down through some of the most beautiful pad ways in the middle of the jungle, enjoying different views each corner. 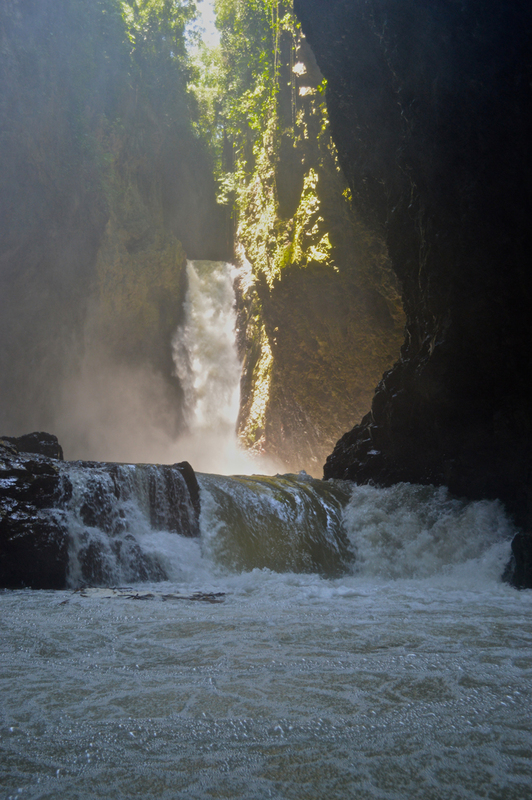 Ones you arrive to the river you will go down through of some of the deepest canyons in the world. 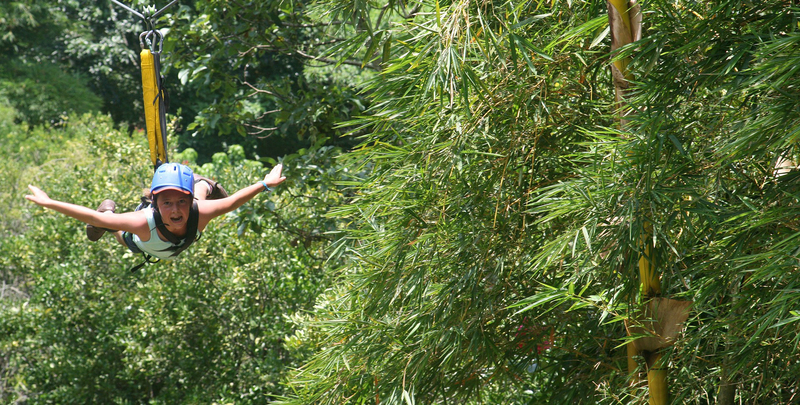 During the trip you will eat a delicious lunch and have the adrenalines of cliff jumps. 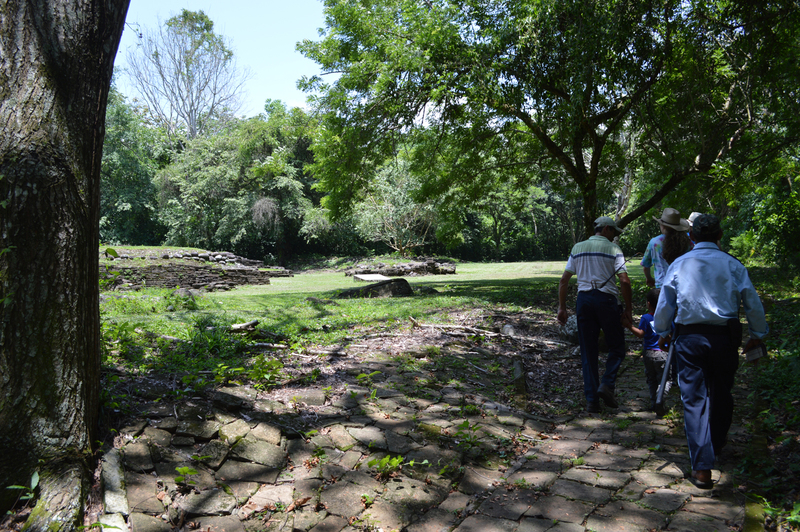 3.- Pirámides: This section is only done when the river has higher flows. 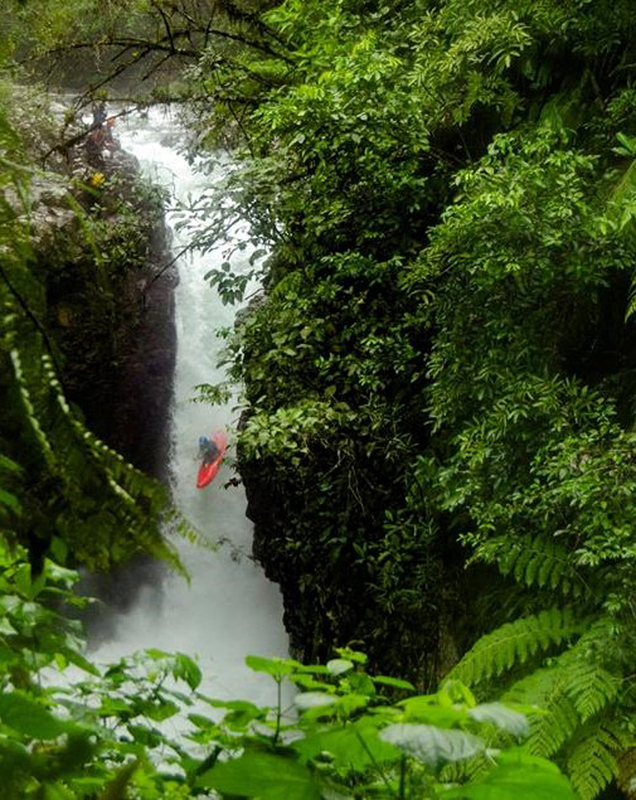 The adrenaline of the high water will make you try different things like surfing waves. 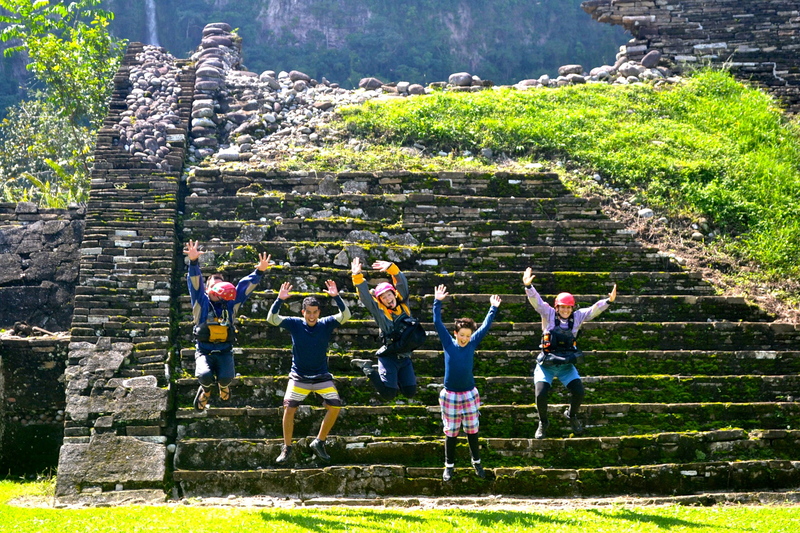 This is one of the most unique experiences since you will go through the two archaeological sites of the totonaca culture: Vega de la peña y Cuajilote. 4. 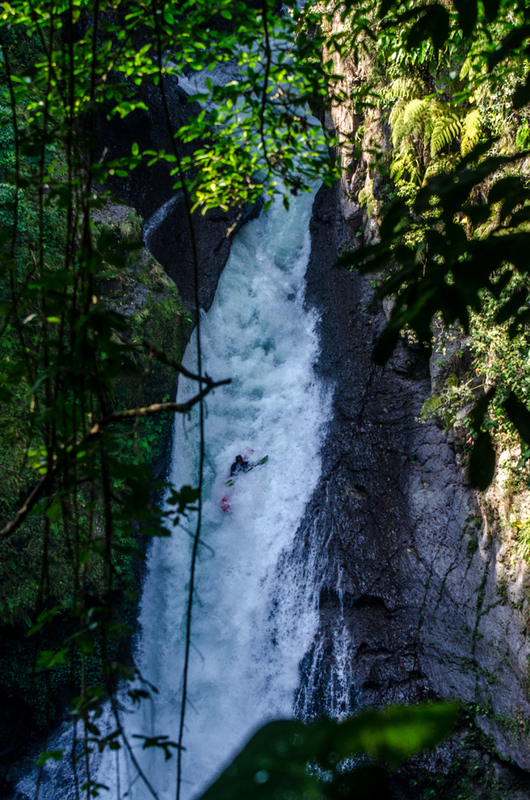 La Palmilla to Rojo Gomez: This section is also done with higher flows, it is a very fun, chill section to enjoy with your kids. 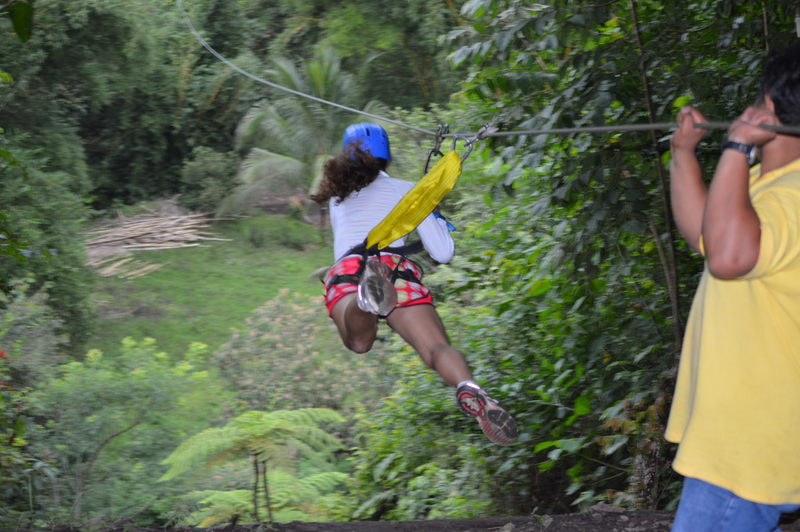 Our zip line is the biggest one in the region with 180m. of length and 25m. of hight. Its included in most of our packages. 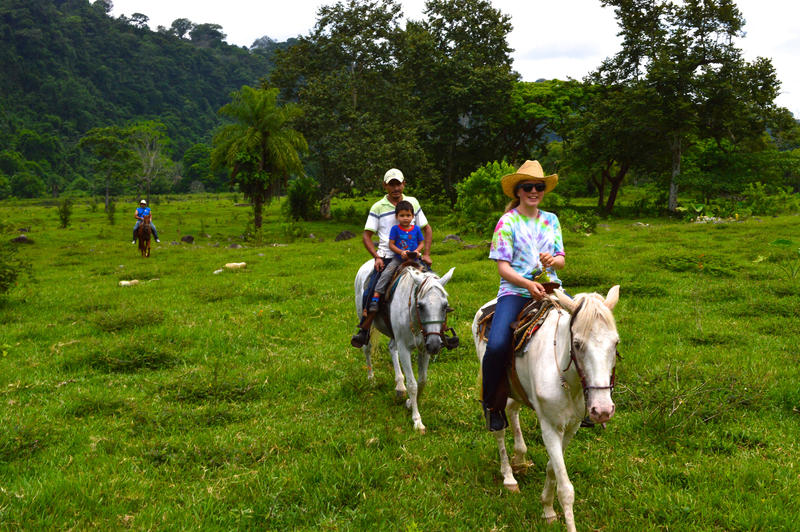 Another way to explore and immerse with the culture, it is by horse back riding. 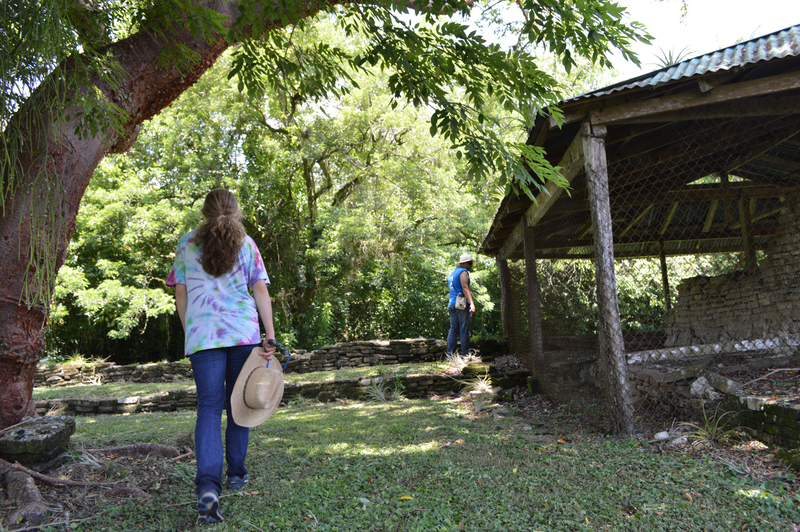 Aventurec will take you to the ruins and some other sacred places. 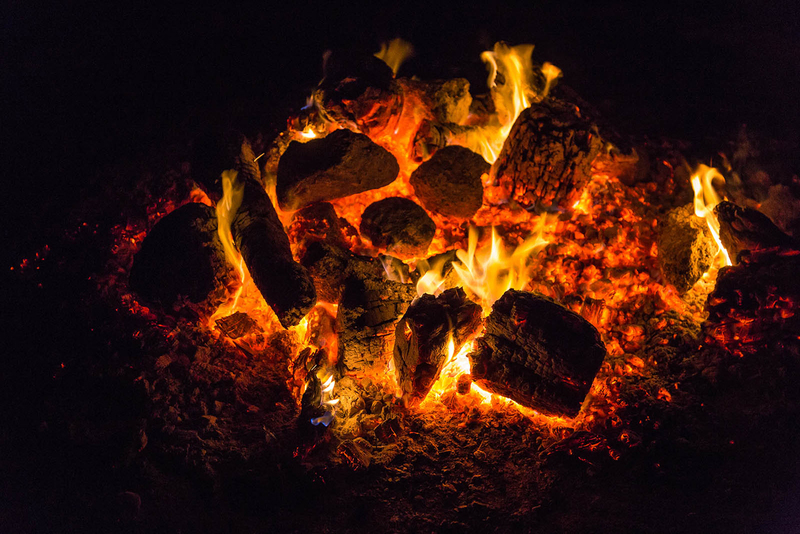 The sweat lodge is a ritual that was created by ancient Mexican culture. It represents to reborn in life. 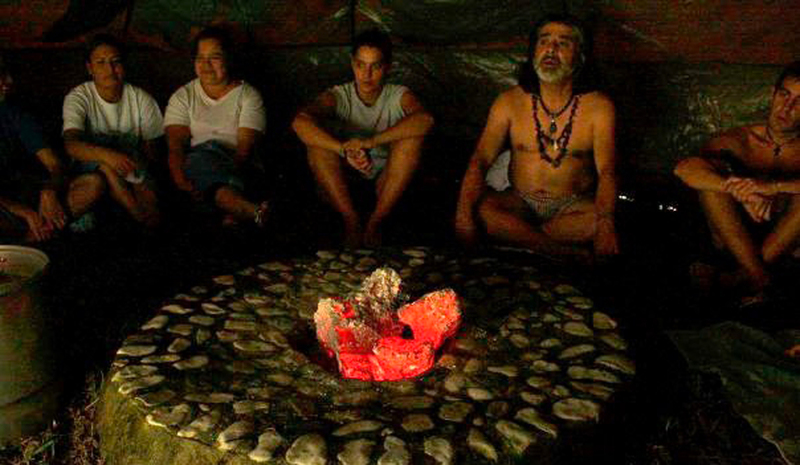 In this sweat lodge the participants will receive a sauna with the complement of medicinal and aromatic plants. Followed by songs, you will be able to relax and have a moment to your self where you can reflect and meditate. 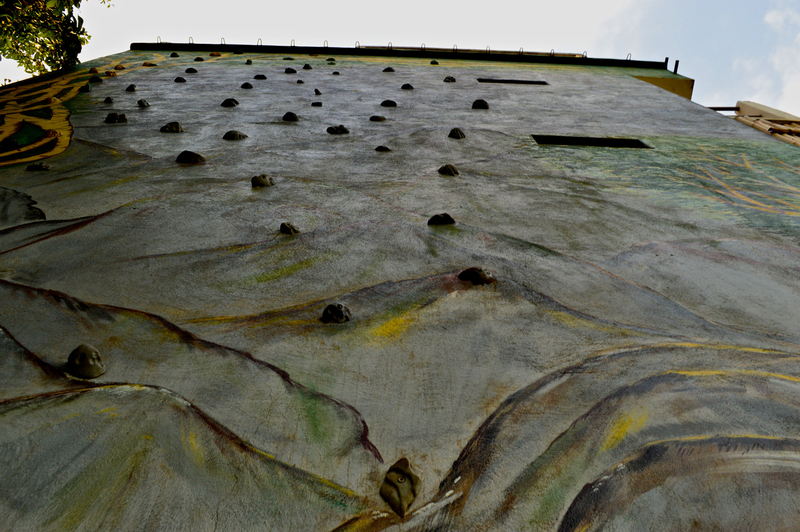 Aventurec has a 12m climbing wall, with different routes base on skills. This activity is perfect for the whole family. 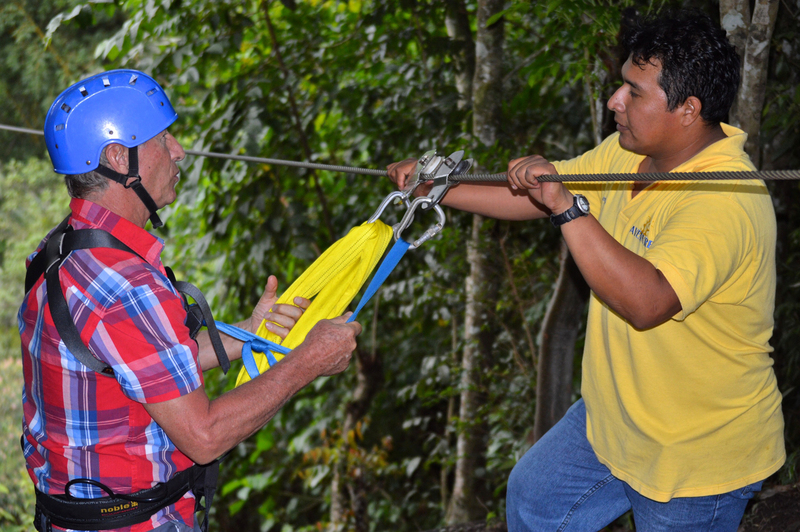 If you are extra adventures you can try the activity of rappelling. 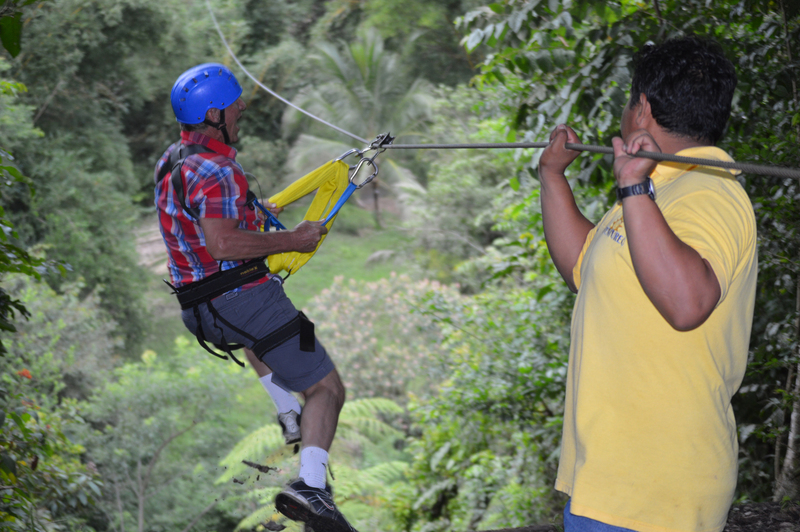 We have a 25m natural wall in the middle of the jungle where you can have the adrenaline of descending as well as discovering different species of birds and wide variety of plants. 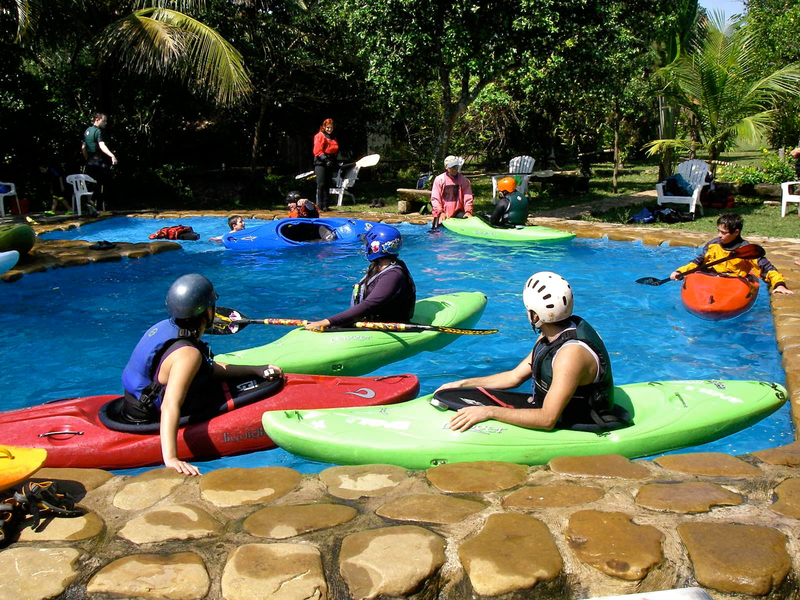 Objective: Get confortable and learn how to use the equipment, such as; boat, paddle, helmet and life jacket. Learn basic strokes, introduce maneuvers on moving water. 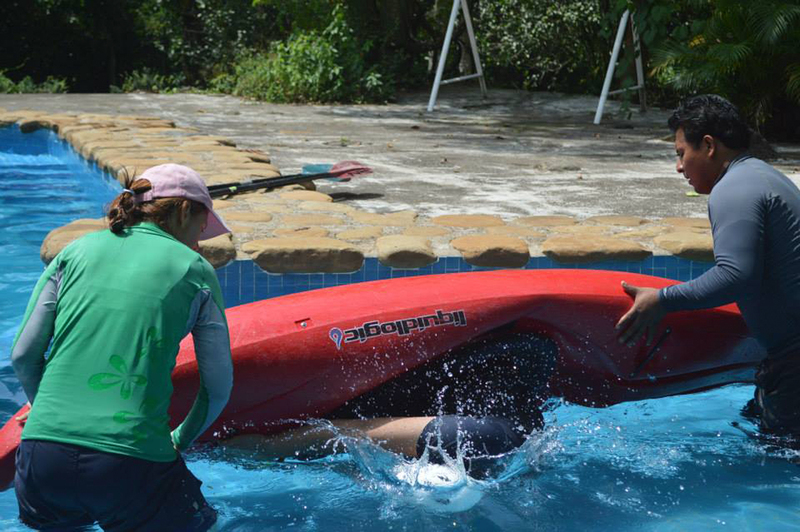 Achieve being confortable under water, being able to wet exit a kayak as well as learn a T- rescue. The final goal is to start introducing the roll on the pool. Schedule: Check in is Friday in the afternoon and check out is Sunday after lunch. Saturday and Sunday, we will have sessions on the pool where we will start introducing wet exits and rolls. After we will also have sessions in the river to introduce maneuvers on moving water. Depending the progress of the group there is a possibility of running some rapids. 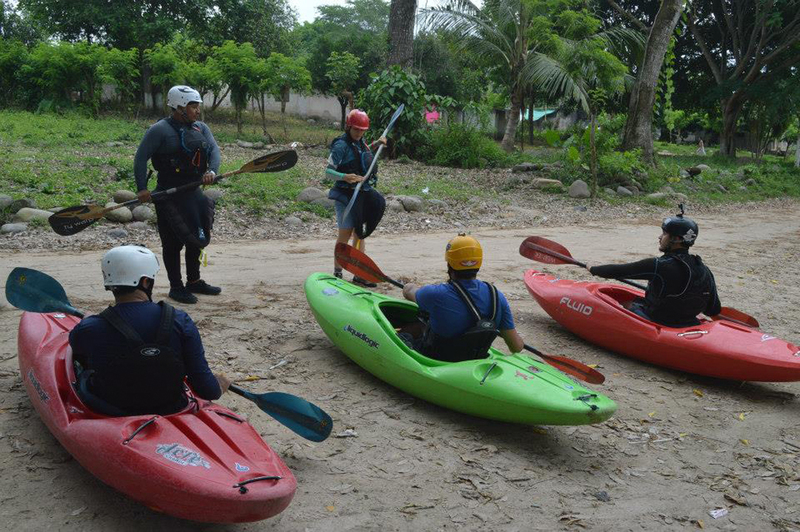 • Equipment: Kayak, paddle, skirt, lifejacket and helmet. • Food: Two dinners, two breakfast, two lunchs (All buffet) and two snacks on the river. What you need to bring: Shorts or lickras, T-shirts no cotton (neoprene, fleece, dryfit, lickra, etc), rain jacket, tennis or shoes for water, toiletries, headlamp, sunscreen, mosquito repellent and a water bottle. 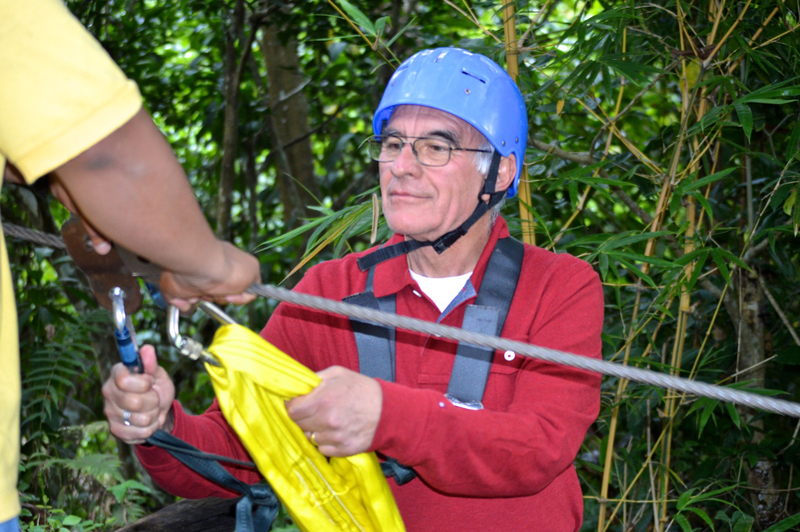 Are you looking for a new adventure and you need some help? We have just what you need!!! 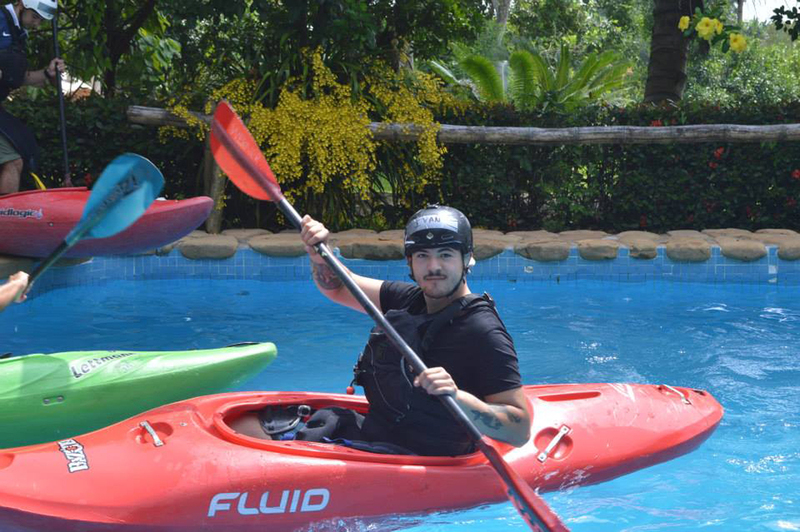 Aventurec offers a variety of kayaking trips, according to the your needs and paddling skills. If you don't know the area very well, you can also give us an idea of what you think suits better your group’s ability and we will help you plan the trip. The crew at Aventurec has created special packages to ensure that our kayaker friends have their needs covered at an attractive price. Cabin: From 2 to 10 persons. Each cabin is a private independent building, with an assortment of single and double beds, with a private toilet and shower. It includes bed linens. Hostel: Shared rooms with 4 or 5 beds. You will need to share the toilets and showers and bring your own sleeping gear and towel. 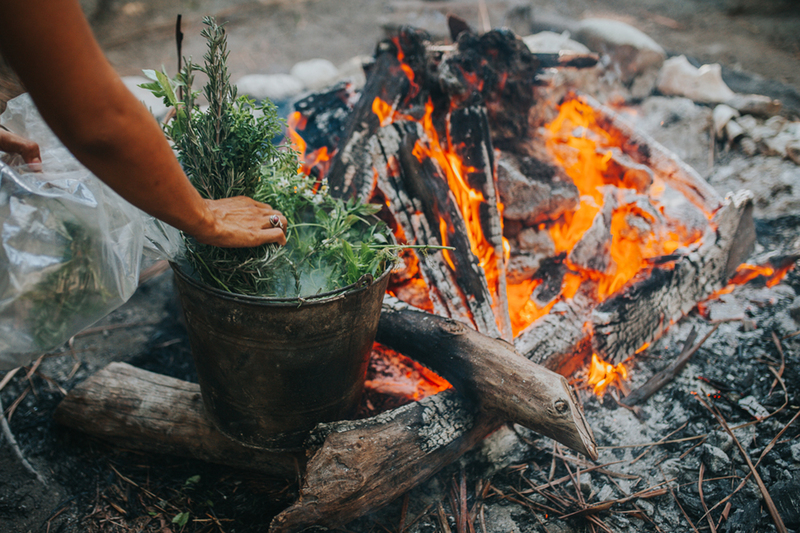 Camping: Our cheapest option. 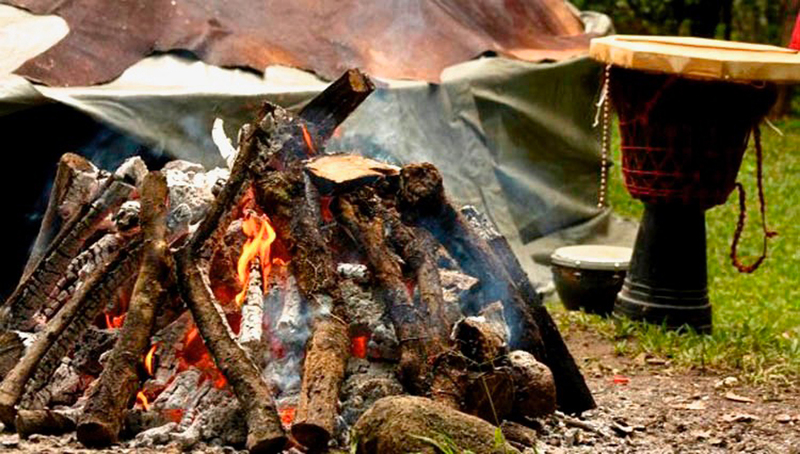 You are welcome to bring your own sleeping tent and gear to camp in our extensive fields. You would have access to the common toilets and showers. Our recommended option. 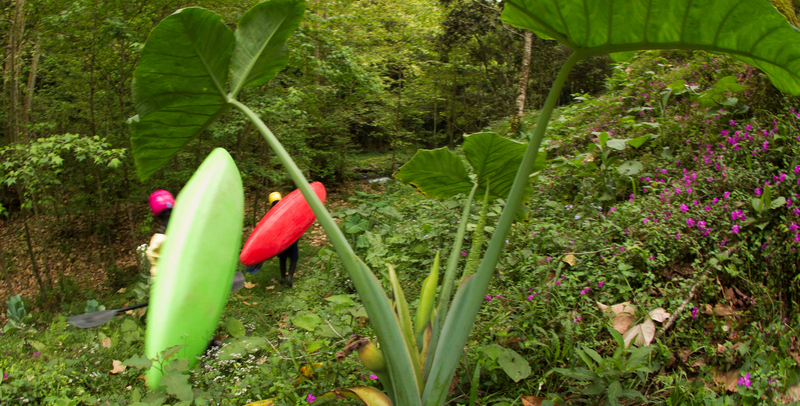 It includes accommodation and 2 meals (all you can eat breakfast and dinner buffets) every day so you only have to worry about which river section you want to paddle next! It includes accommodation and breakfast buffet every morning so you get the energy you need to run some drops! * The prices are per person. * Half of your stay must be paid on the arrival day. * Payments can be done through PayPal, Transferring money into our bank account or cash. 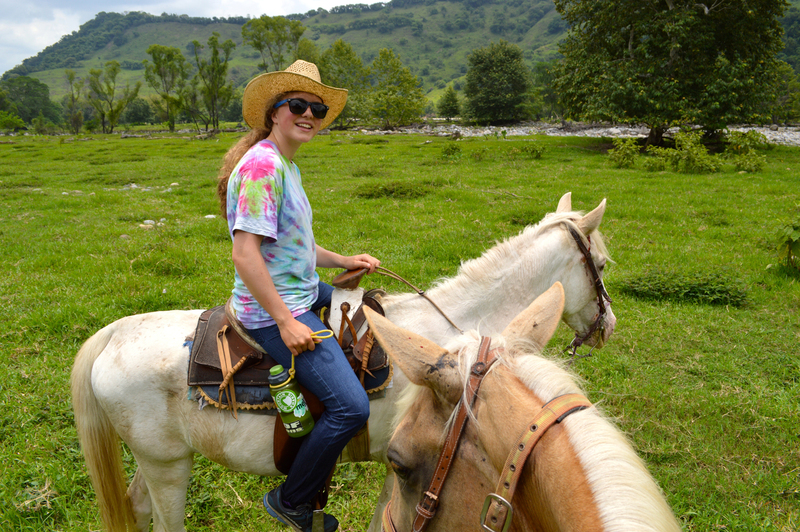 We understand the importance of having someone driving shuttles when you go to the river, so we offer some options for you when planning a little excursion. 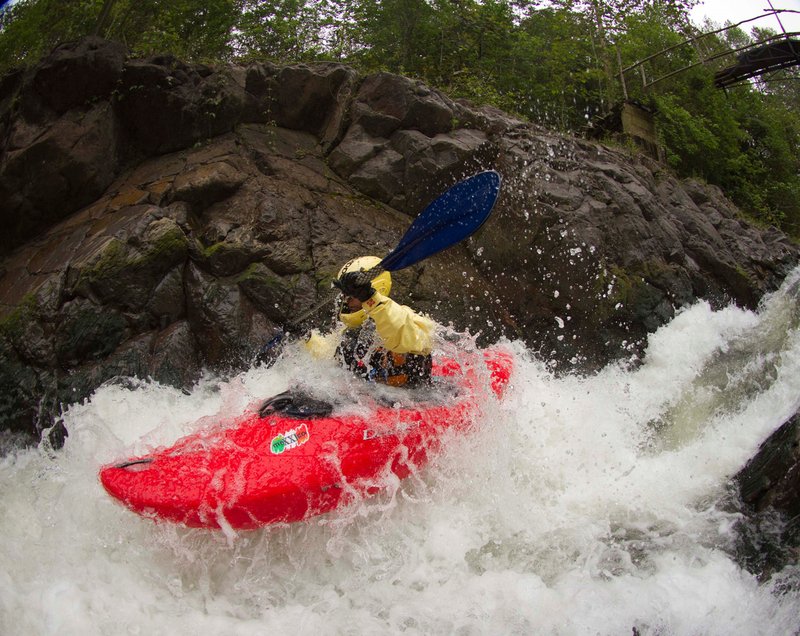 We also offer a daily shuttle service to all the kayak locations surrounding Tlapacoyan so that you and your boat can get out and tear up the rapids. We have a substantial fleet of kayaks ready to be paddled! 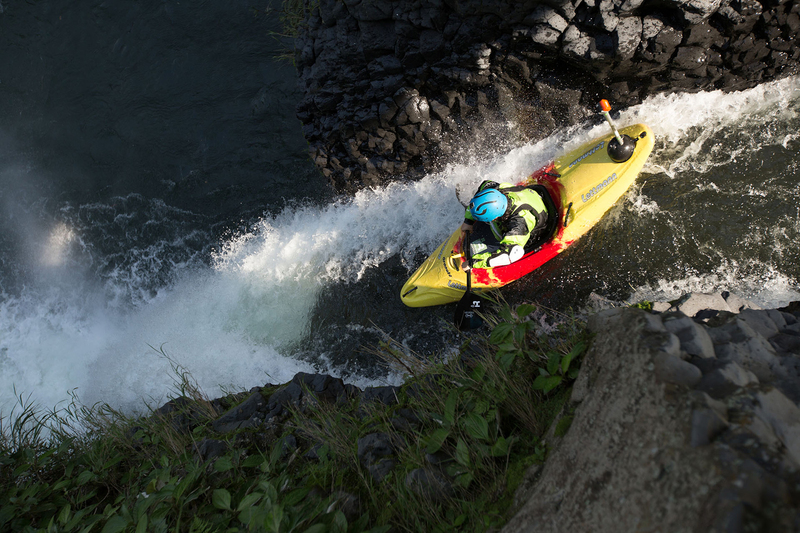 If you don’t want to fly over your own kayak you can always just come and grab one of ours. We have a wide arrangement of brands, models and sizes just waiting to be taken down the river! Please note that kayak rentals are for the increment of time that you choose at arrival regardless of if you decide to use the equipment. 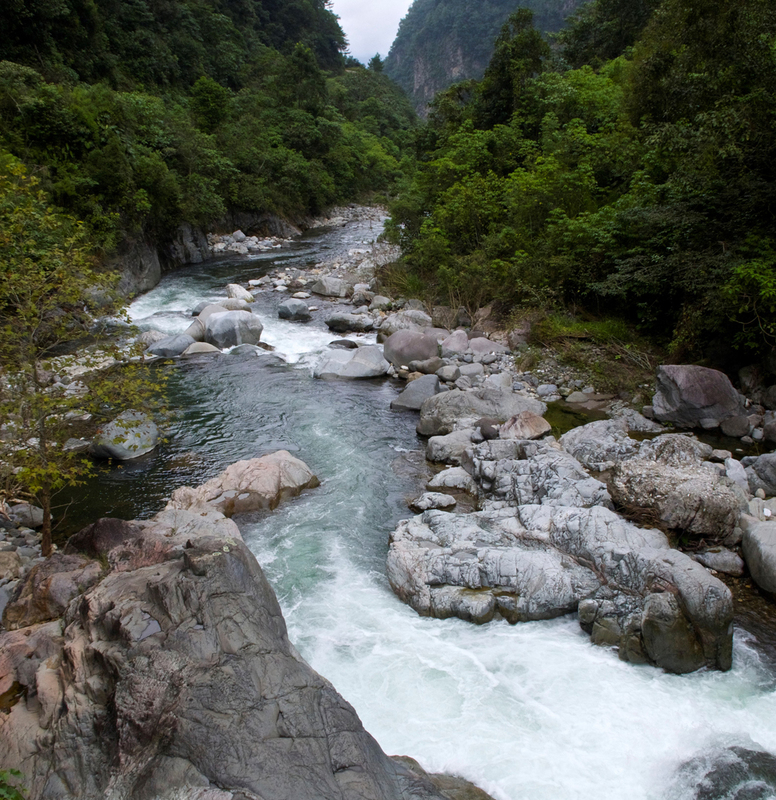 Experience the amazing rivers. Ready for an adventure? 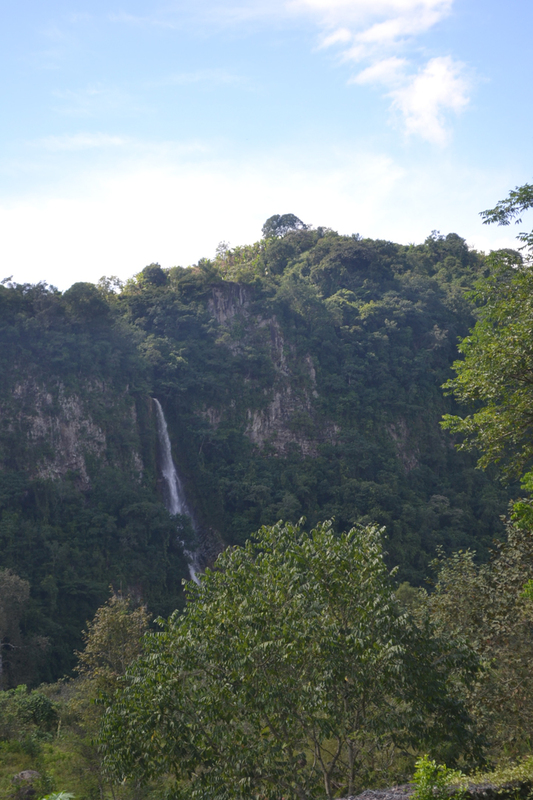 Tomata falls is an impressive 22 meter waterfall in the Alseseca River, it is sorrounded by abundant vegetation specially by banana an orange fields. Tomata is a 20 minute drive from our base camp. The tour is about 3 hours and it's important to bring: Good footwear, confortable clothes, sunscreen, mosquito repelent and a hat. Price per person: $200 mxm. This tour requires at least 2 participants. 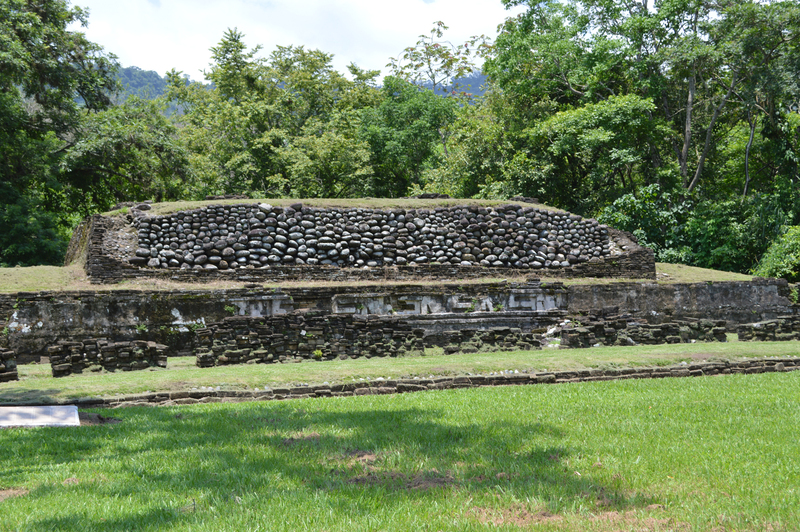 Vega de la peña is an arqueological center in the Filobobos valley, and it is a typical mese-american city from the totonaca culture. 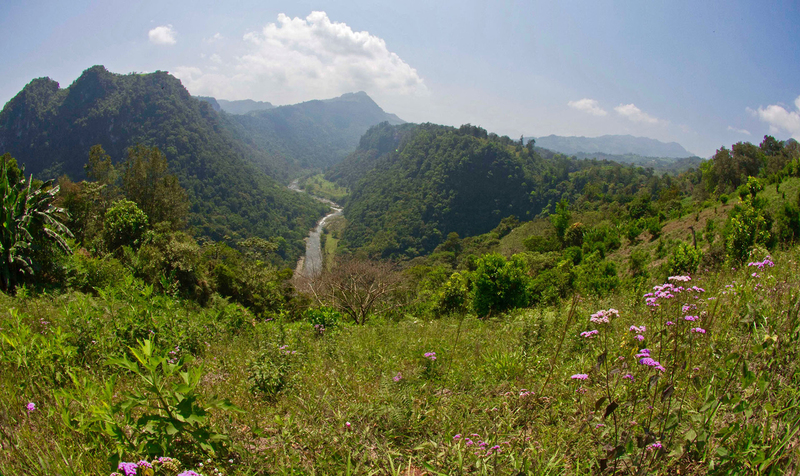 It's about 8km from aventurec, it is hike through nature, crossing both rivers the alseseca and bobos. 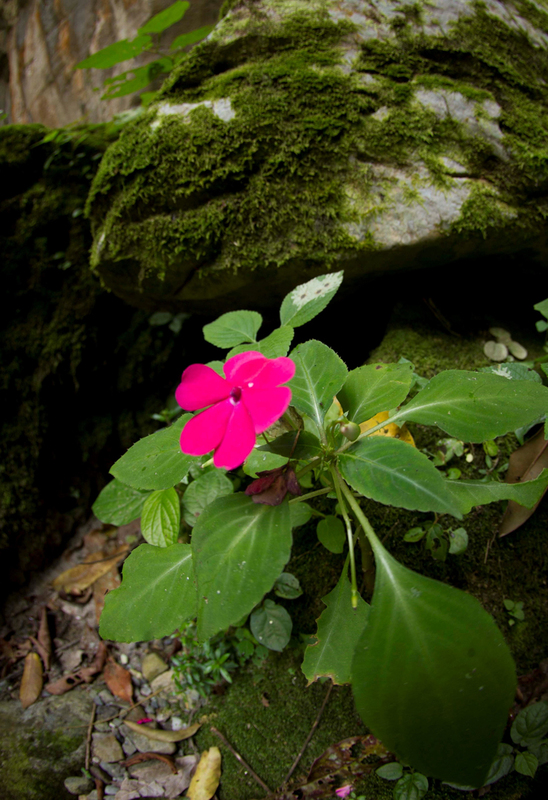 We offer a hike to visit this ruins, since there is no access by car. What to bring: Good footwear, confortable clothes, sunscreen, mosquito repelent and a hat. Price per person: $300 mxm. This tour requires at least 2 participants. 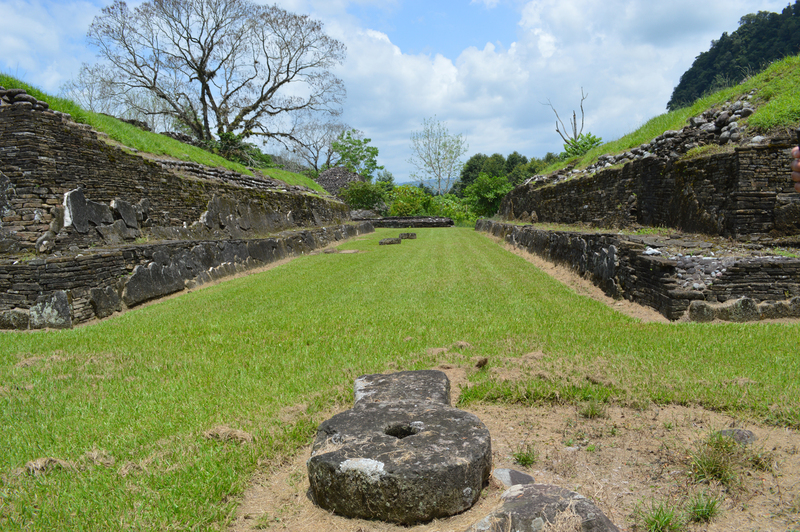 Cuajilote is a ceremonial center from the Totonaca culture, which is also based in the Valley of Filobobos. 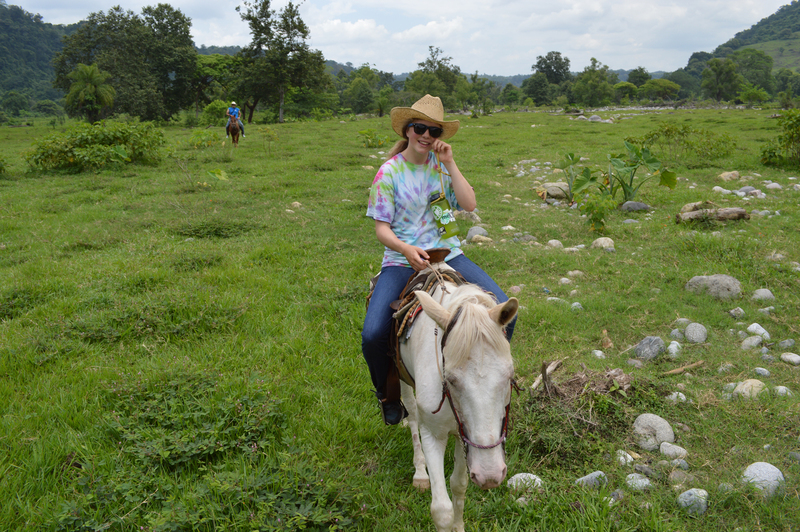 Aventurec offers shuttles for you to visit and explore the ruins. Price per person: $300 mxm. This tour requires at least 4 participants. All of the tours include the neccesary entries, a light lunch and trasnportation. For further questions and information please contact Aventurec.